Roadmunk allows you to access your account using more than one single-sign-on (SSO) method (for example, Google). 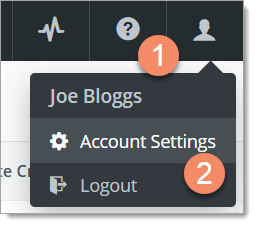 You can add new login methods in the Account Settings Security panel. NOTE: To change the password on any of your login methods, go to Change your password. 1. At the bottom of the Security panel, click the + Login Method button. 2. In the Add new login popup, select the SSO authority. 3. To finish adding the method, follow the instructions on the screen.